Home Blogs	Shall I shout anything? 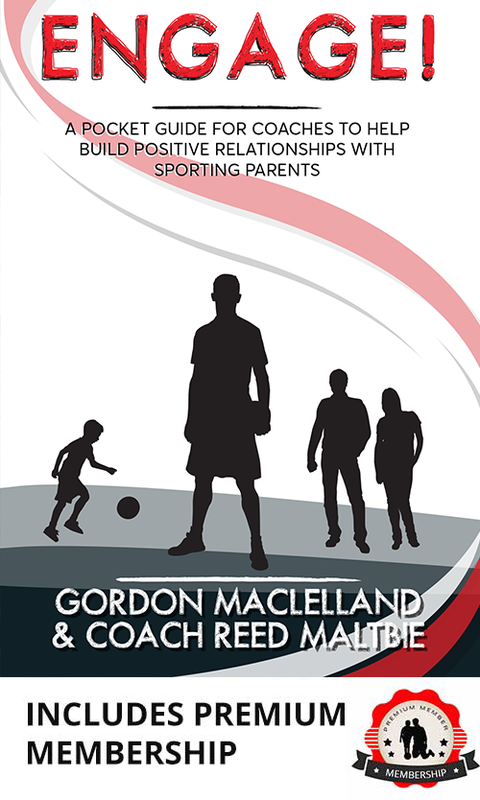 With parents being highlighted as one of the major influences in a child’s level of enjoyment and participation, it’s important firstly to understand and appreciate what your son or daughter may want from you as a youth sport parent? If you ask them before the game, a child will tell you what they want and it may differ from game to game. We often think we know what our children want, and parents will always have their child’s best interests at heart, yet we continue to hear/see parents scream/yell aggressively on the sideline. Just ask them the question, you might be surprised with the answer given. Once the game is underway and players are within the bubble of fun with friends, parents need to try and respect the given environment. The children play the game, therefore it’s theirs to enjoy, parents should try to take a hands-off approach from such an environment and situation that doesn’t really belong to them. Naturally, such an approach will cut any unnecessary stress and decrease the eagerness to influence the game by yelling avoidable statements that negatively influence the levels of enjoyment and participation. Taking a “hands-off” approach doesn’t mean you remain silent or unnerved throughout the game, it solely provides a perspective that it’s a youth game where children are given opportunities to take chances to learn, make mistakes and grow as individuals and players. Young children learning the game will inevitably make mistakes, we should look at the scenario at hand and have realistic expectations. They’re not the “perfect player” yet, like anything we venture upon in life, we will make mistakes, will then logically reflect and learn. If you allow players to fail we provide them with an opportunity to be brave, in overcoming the mistake, finding the solution and learning on their own accord. If any problems on the field can be solved through guidance from the coach and/or knowledge from the players, why is there a need to assist in that process? Worrying or interfering will do no good in the long run. Taking another perspective, when children have tests/examinations, they find solutions to problems from knowledge gained, not from parents yelling at them from the hallway. Forget about all the reasons why something may not work. You only need to find one good reason why it will, finding the best solution may not happen straightaway every player develops at their own pace. The truth of the matter is there is no reason to interfere, because it’s their game, not yours. Whenever you feel the urge to shout negatively or steal a learning opportunity from your child, STOP, reflect and consider the environment and learning opportunities given for your child to develop. There is no actual stress from observing the game, it’s your own thoughts that creates such beliefs. You can’t package stress, touch it or see it. To conclude and answer the initial question “Shall I shout anything?”, it depends firstly what your son or daughter wants and secondly if they are happy for you to shout during the game. Whatever, you ay say make sure you consider what is said, how it’s said, when and to who? Attempt to be positive at all times, with a positive and enthusiastic tone of voice to the your child and the whole team. At times, simplicities are better, for example a smile or a thumbs up. Revert from showing negative behaviour or using a tone of voice that can be deemed angry or frustrated. Remember to have perspective and if you’re ever unsure of what to say, it’s best to ask the coach what potentially can be said. Working as a team within the athletic triangle will help provide the best environment for your child to reach their potential. This article was written by a good friend of WWPIS, Richard Cashman of the Sporting Influencer. The full and original article can be found here.